Winter rainfall eases the California drought. Mudslides, flooded areas and toppled trees are remnants of a storm that came and went right before the start of the spring semester at Cal State Dominguez Hills. With the late arrival of El Nino, California received more than 200 percent of its yearly rainfall over a five-day period. Like the rest of the state, CSUDH was not immune to the severe weather patterns, and there was plenty of standing water on campus. 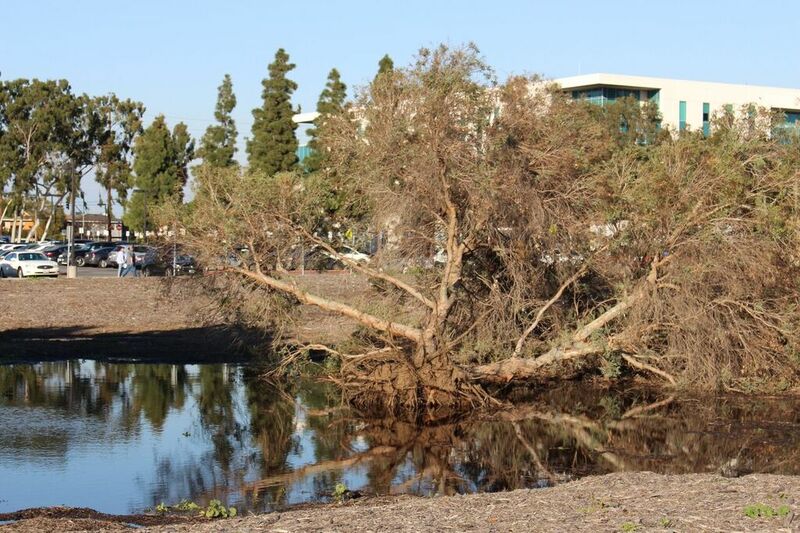 When classes started, what remained from the storm was the flooded area and a toppled overtree between Parking Lots 3 and 6, a collapsed tree near SCC, as well as mudded areas throughout the campus. No severe structural damage was reported on campus, however, despite the crippling storm, California has had the notorious drought slightly eased because of the uncommon quantity of rain in years. For the first time in quite a while, California homes, as well as parts of CSUDH, have gone from having dirt patch yards to growing green grass again.